1100 27th St #502, Birmingham, AL.| MLS# 832926 | Richard Jacks UABLIVING.com 205-910-2297 | Birmingham AL Real Estate | Contact us to request more information about our Homes for Sale in the Birmingham AL area. 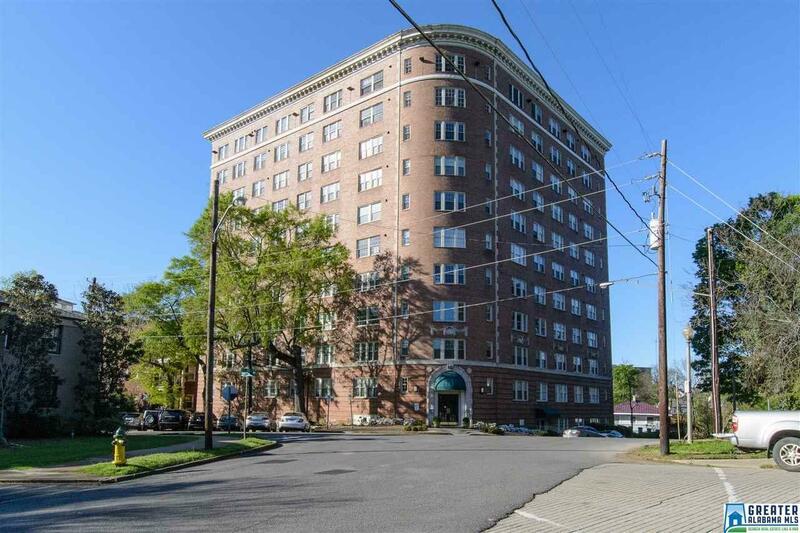 Located in the heart of Highland Park, just by Caldwell Park, sits this prestigious historic high rise. This condo is a perfect blend or historical charm and modern conveniences and also has the great flexibility of use of the floor plan with both bedrooms being on opposite sides of the unit. The unit opens into a large living room with a wall of windows and a balcony with great views. All the original charming features have been preserved, yet the modern conveniences we appreciate have all been updated. The unit is quiet and secure, but also has an out door courtyard/pool area for socializing. Park in the gated secure lot and you can even walk to nearby parks or to restaurants! Very reasonable utilities and HOA includes: Water, sewer, basic cable/internet, pool, common grounds upkeep.